There are new fun tech gadgets coming out every day to improve motorcycle safety. Below are just a few items that we feel will make your urban ride safer and more comfortable. It’s always a much more enjoyable ride when you can have some peace of mind that you have done all you can to maintain your safety while riding your bike in the City. As a California motorcycle injury lawyer, I know all too well that many of my clients make significant changes in their safety gear AFTER they’ve been involved in a serious motorcycle accident. Don’t you wait for an accident to happen. Take action now! Visibility is often the key to avoiding motorcycle accidents in California. Many of the motorists involved in motorcycle crashes say they didn’t see the motorcycle in time. 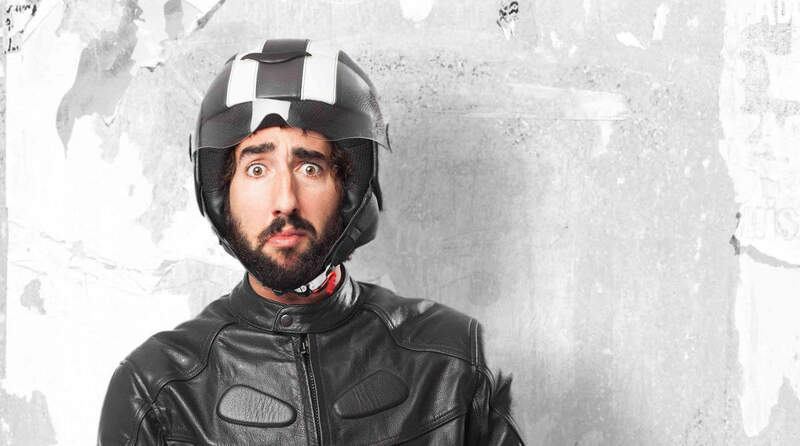 You can do your part to avoid being in a motorcycle accident by staying visible. Versa has created LED lights that are easily installed (simply screwed to your license plate) and provide bright visible light. A kit can be purchased that functions as running lights, brake lights, and turns signals. If being seen is important, seeing is even more so. But motorcycle headlights have been stuck in the dark ages for centuries. Sure, they’ve gotten brighter, but because they’re fixed on the bike they simply illuminate a tunnel straight ahead. Making turns is an exercise in faith. J.W. Speaker has created an adaptive headlight for your bike. The smart headlight actually senses when your bike is leaning into a turn and will adjust the angle of the lamp to follow your line of travel—clearly illuminating what’s in front of you and also letting traffic around you know your intended direction. This is crucial for urban riding in the Bay Area. Next to your tires, your brakes are probably the most important individual component of your motorcycle’s design. But most standard braking systems are limited, feel less-than-responsive, and can even contribute to avoidable motorcycle accidents. Upgrading your braking system doesn’t have to be a chore. Magura’s master cylinders are easily installed and come in three different capacities. They add instant braking power by magnifying your finger’s pull and transferring that increased pressure to your discs. The system is universal and is simply plug-and-play (though it would do you good to ride around and get used to the new feel before heading out on the highway). Motorcycle riders have to actively maintain the stability of their machines through turns but when treacherous roadways make that next to impossible, technology can lend a hand. Bosch has created a stability system that actually monitors your bike’s wheels and can apply the brakes if it senses you losing control. Similar to modern advanced traction control systems in automobiles, Bosch’s design will actually make riding on wet or leaf-covered roads safer and help you avoid motorcycle accidents. Technology is improving the way we do everything. If a couple little “tech-changes” can help us avoid falling victim to motorcycle accidents it’s worth it. I’ve seen first-hand how difficult it can be to bounce back from these motorcycle crashes. Investing a few bucks in safety tech can help you avoid an accident, so do it now. If you ever need a California motorcycle accident lawyer on your side, I’m here to help. Call (408) 878-3070 today or submit your case online.